For additional information on the following services, contact us. FREE Instant Cash & Check (Debit) Card (subject to qualification). 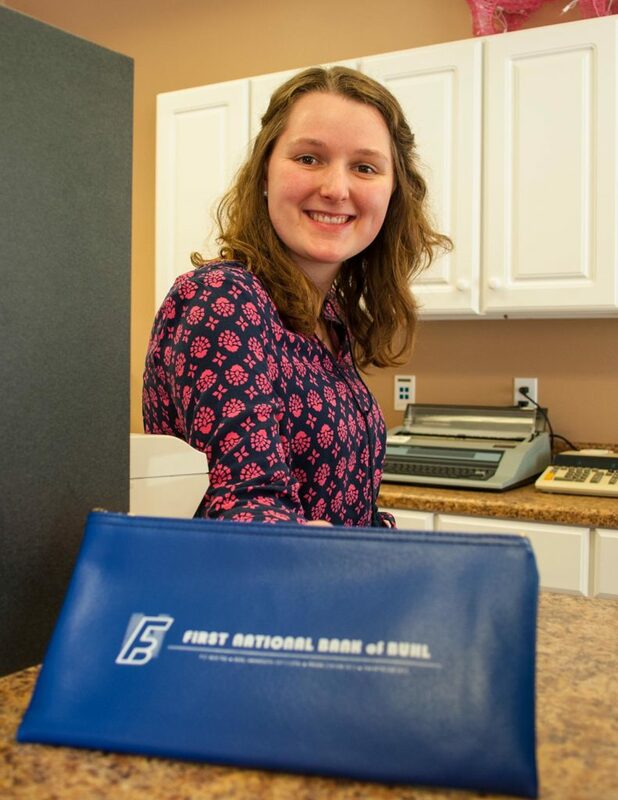 FREE ATM transactions at First National Bank and many Instant Cash locations. Optional Overdraft Protection on Checking Products (subject to qualification). Interest Bearing Deposit Accounts (subject to account plan) Contact us for current rates and annual percentage yields. FREE combined monthly statements for your deposit accounts. Safe Deposit Boxes (subject to availability). Visa, MasterCard and Discover Credit Card Cash Advance Requests. Personal Money Orders and Cashiers Checks. Reorder checks online at www.deluxe.com. For security reasons, you can not change account information, such as mailing address, when ordering online.